With every aspect of life integrated with digital devices, it is key for advertisers to understand how audiences consume media through different channels. It is not enough for them to just know who the target audience are. Advertising has undergone a huge change and traditional working practices have been transformed. It can no longer be a standalone function and instead needs to be integrated with digital methods. Last year, digital advertising spend in the UK exceeded all other types of ad spend combined, including billboards and television ads. According to The Advertising Association and Warc, a source for advertising data, ad spend grew in the UK to £5.8bn in Q4, 2017. With digital formats dominating the industry, internet advertising spend was up 13.4% to £10.3bn for the year. The types of media used to distribute messages has experienced an incredible disruption as digital media and interactive platforms have changed the dynamics of how consumers see and pay attention to brand messages. In 2014, videos of the Amyotrophic Lateral Sclerosis ice bucket challenge circulated on Facebook. It was a simple concept where a bucket of ice cold water was tipped over a person’s head, and then posted on social media with a challenge for friends to do the same thing, or donate to the ALS Association charity. The viral campaign raised awareness of both the condition and the charity. The online campaign demonstrated how digital campaigns can capture the public’s attention and harness user generated content. In a 30-day period over $100m was raised for ALS research projects, with more than 2.5 million unique videos posted on Facebook. In 2016, Airbnb ran a campaign that blended traditional advertising practices with interactive and social campaigns. The “Live There” campaign focused on encouraging people to experience the places they visit like locals. It created a pop-up cinema event that made use of 3D technology to give viewers an insight into the contrast between living like a local and living like a tourist. 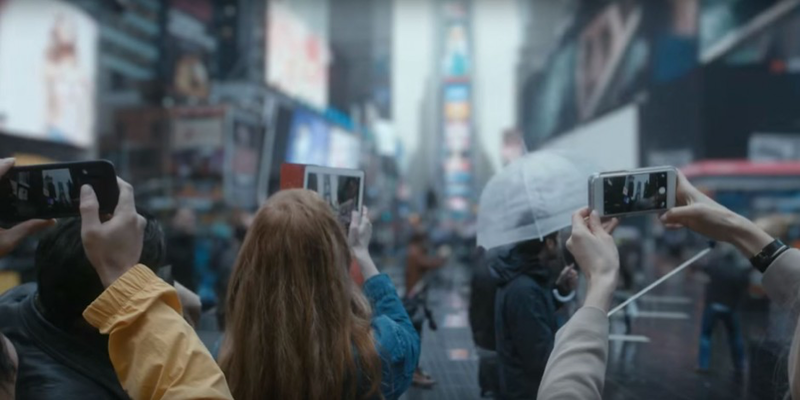 The campaign laced its messaging throughout social media platforms including Instagram, with the video created reaching 11 million views on Facebook, with over 50,000 likes. Iconic advertisements are no longer just seen on billboards and television. Digital marketing methods such as the ice bucket challenge, are dominating the industry with adverts that are reliant on social interactions both online and offline to make a real impact. Although the landscape for advertising is rapidly changing, and digital advertising is ruling the industry, there will still always be a role for traditional advertising methods. Today there are more ways than ever to communicate with consumers. For B2B tech and telco’s we believe it is important to invest in quality content advertising to convey a consistent and continuous message that lasts. At Ilex, we have experience of bringing successful advertising campaigns into the heart of the marketing mix. If you would like to learn more about how we can help you build your online presence, please contact info@ilexcontent.com.